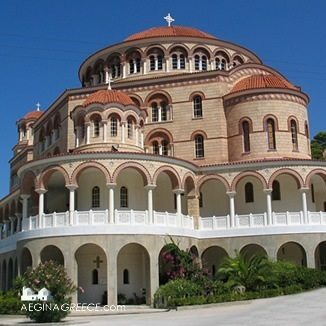 Welcome to AeginaGreece.com, Aegina island’s most complete tourist travel guide. Aegina (Aigina, Egina, Egine, Ägina) is located 26 km / 16 miles below Athens, is part of the Saronic islands group and can easily be reached within 40 minutes from Piraeus. 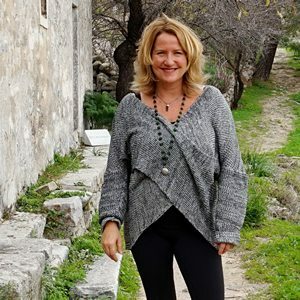 I am excited to introduce you to the magic of Aegina! I first visited the island in 1993 and returned several times before I decided to make the bold move to relocate myself with my dog & cat in 2002. I followed my heart and I am still very happy with probably the best decision I’ve ever made. 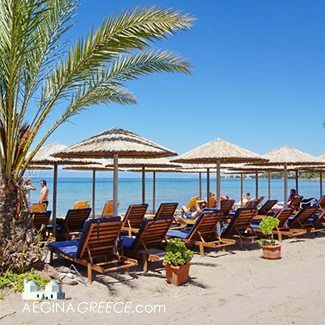 Since 2003, I have been sharing my love for this little Greek paradise through AeginaGreece.com with millions of people. 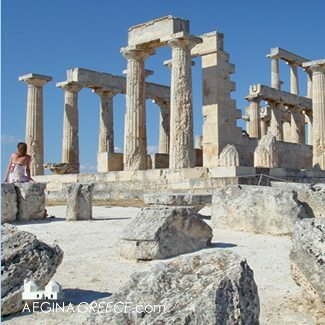 Learn why Aegina is the perfect vacation destination, why a day or weekend trip to experience some Greek island life is easy to combine with your Athens City trip and learn why Aegina is a fantastic place to live for those who want to be away from it all! Discover Aegina, the island that is still Greek and not spoiled by mass tourism. There is a wide range of accommodation, from simple budget rooms to luxury villas with pools. Aegina has a big variety of beaches, you can find them all around the island. There are sandy beaches with and without beach bars, sunbeds and umbrellas, beaches with shallow water and beach sites where you can jump in deep waters. Beaches with sunbeds operate “normally” from around 15 May until 15 September. Don’t miss Moni, the little inhabited island which is located opposite Perdika and that can be reached by boat. Aegina is a place of rich history. The Temple of Aphaia is arguably the jewel in the crown of Aegina island, wander around Paleachora, visit the archeological site of Kolona. Spend your Aegina holidays swimming, enjoying the beaches, sightseeing, discovering the island, sailing, walking, cycling, wining & dining. Are you looking for a guide? Visit neighbouring islands or combine Aegina with a day trip to Athens. Aegina is the island of the pistachio nuts. They are called in Greek: “Fistikia”. 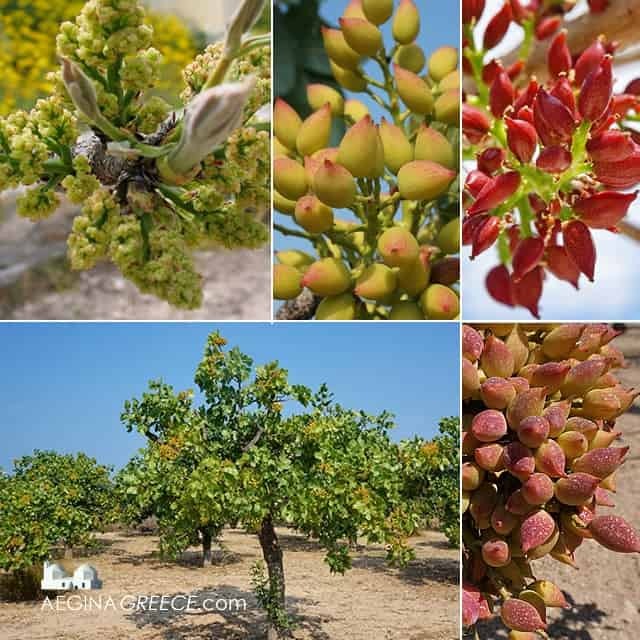 The harvest of the pistachios is celebrated every year in September with “The Aegina Fistiki Festival”. The Aegina Fistiki Fest is a a 4 days festival in September with lots of food, music, dance, theatre & art. One of the most visited sites on Aegina is the church of Agios Nektarios. Agios Nektarios of Aegina (1846-1920), is one of the most widely known Greek Orthodox Saints. He was officially recognized as a saint by the Ecumenical Patriarchate of Constantinople in 1961. Each month, thousands of people visit the tomb of Agios Nektarios, to pray to him, or ask for his blessings, which always seem to be answered. His memory is celebrated by the Church on his nameday the 9th November.